Please refer to the following steps and information as you prepare to apply to the joint M.S.W. program. You do not have a B.S.W. degree from a program accredited by the Council of Social Work Education (CSWE). You have a bachelor’s degree in a field other than social work. You do not have a bachelor’s degree, but will complete one by Fall 2019. You have a B.S.W. degree from a program accredited by the Council of Social Work Education (CSWE). You do not have a B.S.W., but will complete the degree by Fall 2019. A bachelor’s degree from an accredited university/college. Minimum GPA of 3.0 on the last 60 hours of bachelor’s level coursework. No Graduate Record Exam (GRE) required. 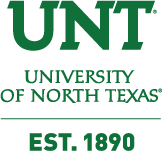 International applicants: must meet English language proficiency examination requirements for TWU and UNT. 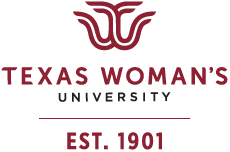 Applicants must complete and submit a TWU-UNT Joint M.S.W. program application for admission to the Generalist or Advanced Standing program before February 15, 2019. &plus;I do NOT have a B.S.W., but will have a bachelor’s degree in another field before Fall 2019. All applicants are required to submit the following in the program application to be considered for admission. Recent résumé reflecting your education and your volunteer and professional experience. Personal Statement – applicants must address all components of the essay requirements. The essay will be assessed based on content, grammar and writing skills. Three letters of recommendation from professors or professionals who are familiar with your work. Please instruct recommenders to email their recommendation letters to socialwork@twu.edu. If an applicant has been or is currently enrolled in another M.S.W. program, an additional letter of recommendation from the Chair or M.S.W. program director is required. Applicants must submit all unofficial transcripts with their program application. If selected to complete the ApplyTexas application, official transcripts will be required. Graduate-level transfer credits are limited to no more than 12 semester credit hours, and are subject to joint M.S.W. program approval. Please note that credit acceptance is not guaranteed. Once admitted to the program, students will formally submit course syllabi and be notified of the outcome in writing. The joint M.S.W. program does not grant social work course credit for life experience or previous work experience. In some circumstances, an interview may be required to obtain additional information. Application materials will not be returned to the applicant. &plus;I DO have a B.S.W. or will complete the degree before Fall 2019. The joint M.S.W. program will determine whether or not your program application meets the basic admission requirements, and will notify you via email about the decision. If you meet the requirements, the program will send information about how to complete the ApplyTexas application for admission. Meeting the program application admission requirements does not necessarily guarantee acceptance. The ApplyTexas application will include an application fee. There is no fee for the preliminary admission screening.